Primary Scientists Putting the spark into Science. Leaf fall, or to use its scientific name, abscission, is a result of several factors. Mainly, this is due to trees cutting their losses as winter approaches; it takes a lot of energy to maintain leaf production, especially in the face of cold weather and long dark nights. There is relatively little time for photosynthesis anyway at this time of year, so basically deciduous trees just give up. (Wind and insect predation are also contributing factors). Leaves are green because of chlorophyll, the pigment used in photosynthesis. There are also yellow xanthophyll pigments and orange beta-carotene in the leaves, but these are masked by the bright green colour. When photosynthesis stops and leaves die off, there’s no need for the chlorophyll either, and it degrades into colourless chemicals. Now, the yellows and oranges are revealed in all their glory. Red colours are a little different; these are actually synthesised as new pigments once about half the chlorophyll has degraded. 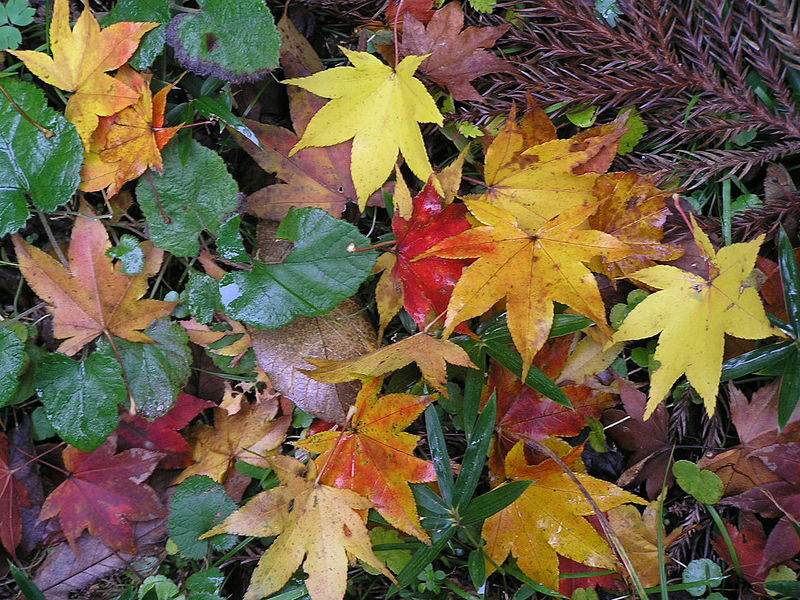 Brown colours are not pigments, but the dead cell walls of the leaves. PRIMARY SCIENTISTS – 2014 update! Birds’ breedin… on FEATHER YOUR NEST! Science Learning Cen… on PRIMARY SCIENTISTS?